Karen M. Sandler is the executive director of Conservancy. Karen is known as a cyborg lawyer for her advocacy for free software, particularly in relation to the software on medical devices. Prior to joining Conservancy, she was executive director of the GNOME Foundation. Before that, she was general counsel of the Software Freedom Law Center. Karen co-organizes Outreachy, the award-winning outreach program for women globally and for people of color who are underrepresented in US tech. She is also pro bono counsel to the FSF and GNOME. 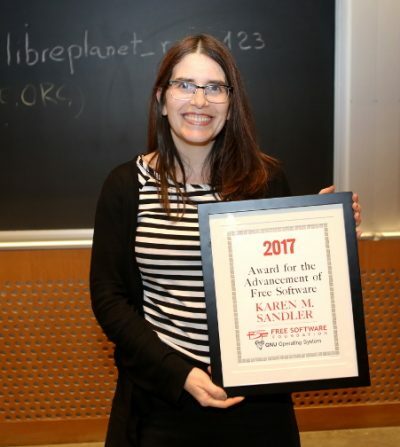 Karen is a recipient of the O’Reilly Open Source Award and cohost of the oggcast Free as in Freedom. In this inaugural episode, we have a conversation with Karen Sandler about why software freedom matters, how to build a Free Software life and how to keep going. So we’re trying to do a small series of recording to understand how and why people work with software freedom, what keeps them going and how freedom in general affects their work or their ability to do any work, for that matter. Hopefully, this will inspire a lot more people to choose working with software freedom and freedom-related issues in general. So the first thing I wanted to do was to ask you to define what your work is about, in your own words. We are working in an era where we are building a lot of infrastructure and we are using a lot of technology in new and unexpected ways. And we are networking all of the old ways that we used technology into these new ways and we’re doing so on a lot of proprietary software as a society. It means that we are opening ourselves upto a lot of vulnerabilities and we are ceding control of a lot of our basic functionality to companies, rather than to ourselves. The things that we agree to in the electronic space are things we would never agree to in the analog space (in the real world). Most of my work is focussed around bringing awareness to these issues and doing all of the nitty-gritty stuff that we need to do to be able to conquer the world with free software and really make a change. [Abhas] You’ve been doing this for many years. Did the context arise after you’d gone down the road for a few years? Or did you start with this context of what you want to do? Oh! Its been an evolution for me. The first time I got involved with Free Software was when I was at university and I worked at a computer lab. And I saw Linux labs and I thought – “wow! this free software thing is a cool idea; its too bad that it won’t go anywhere!”. And I guess I was really wrong. Then I went to law school and I didn’t think about software anymore. And I wound up working in this space again working at SFLC (Software Freedom Law Center) and I thought that open source was pretty cool. Then I met up with a lot of my clients and I was struck by their passion for what they were doing. Slowly over time, I started to realise that there was a lot more going on than I had previously thought. And as I went down that road, at some point, a few years in, I wound up being diagnosed with a heart condition and needed to implant a pacemaker / defliberator. And all of a sudden I was asking questions about the technology that was going to be inside my own body. And the company that I was asking that information from, and the doctors that were giving me advice, had no information to give me! It was such stark realisation and such a stark experience, that all of sudden I went from someone who thought that open source was pretty cool and definitely useful, to someone who thought that software freedom is essential. I had that really big transformation as I did that research about the ethics and the safety, just the basic safety, of the whole device that was going be sown in to my own body and screwed into my heart and it really, just, changed my life and made me realise that these are issues that you must be passionate about. And as I have experienced over the years since then, my heart device is just a metaphor for all the software that I run. So while your phone might not be literally implanted in your body or connected to a major organ, it is still something you rely on for so many basic things. And so we just can’t just think about our technology as something as a product that we buy from a company – we have to think about its impact on society and our lives. [Abhas] So my question was going to be “why do you do this”, but I understand that from your answer. What I would like to ask you is, had it not been for your medical condition what role do you think you would’ve had? What I’m trying to say is that unless we personalise software freedom or technology freedom in general, how do we relate to it; for someone who has not faced these sort of challenges and can’t personalise it. I want to say that I have the answer for this. But if I have to be totally honest with you and anyone listening to this, I didn’t have a plan for my career particularly. I kind of went wherever it seemed reasonable for me to go. After law school, I was a securities lawyer doing work on stocks and bonds. And I never really thought about issues in the public interest much at all. And I am so embarassed when I think about the person I was then and the issues that I think about and work for now. So I understand what its like to [inaudible]. 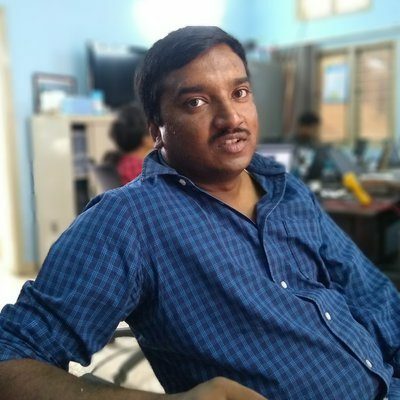 Even going into an organisation and was working on issues around Free and Open Source Software, it wasn’t until it was presented to me as a personal issue [that I was able to examine these issues personally]. I was struck by the clients that I work for, but it was only when it became a personal issue, that I was able to internalise it and realise that this was so important. So I find that talking about my own personal experience and issues, helps people understand the relevance of the issue to them. But I think that it is actually something a little bigger. Which is that – early on, and even largely now, a lot of people who are advocating for software freedom are similar people. No similar to [inaudible] When I first heard about these issues [related to Free Software], it was older men telling me about these issues… older white men. [They were] doing great work, I might add, but I didn’t necessarily think that it was that relevant to me because these people weren’t like me and they didn’t lead the life I lead. They didn’t use the technology I use. And I think this is a critical lesson for how to expand the work of software freedom. If you’re listening to this right now, its because you already know about software freedom and you think that its valuable. And you may think that your experience is not that important, but, in fact, it is most important. 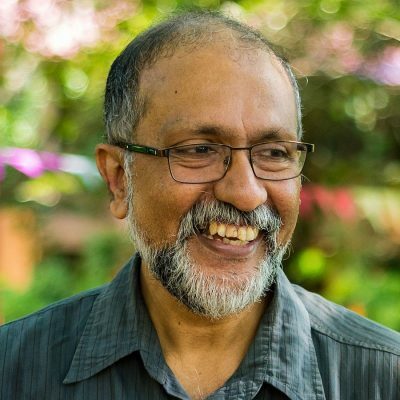 So somebody who is in your situation talks about software freedom, it is going to make the biggest impact to people who are also similar to you. And I find that when I talk, especially women really respond to my story. And I think its because they are hearing it in a way they didn’t hear before. And so diversity is critical to software freedom. There is a need to have as many voices from as many walks of life talking about software freedom, it will be a much easier situation. For example, one of things that I talk about when I advocate for software freedom is the experience I had while pregnant and having a defliberator. It hadn’t even occurred to me my experience of being pregnant with a defliberator would be different when I was not pregnant. No one else except a woman with a defliberator could possibly have that experience. But it is something that I can talk about and something that people can relate to. As we use our software in ways that the original authors of the software didn’t necessarily anticipate… that goes for community software but also especially for corporate-driven software and products as we deploy them in different countries and different use cases, we are going to find situations like my defliberator, where our use cases are not what the small group of people who worked on them [envisaged]. In Free Software, we can change the software to do something about it. We can customise it for ourselves. And we can educate people about it. And without that we can’t. [We should be] making sure that we have as many people talking about free software. If you are listening to this, it is because somebody has informed you about software freedom. And so its never a bad time to talk about software freedom. I talk about my doctor’s appointments at the grocery store all the time. But you would face challenges from people who don’t seem to care. When you talk to them in all these places, they might not care at all or they might not care enough. Because they have have not been in a similar situation. Or maybe, they might remember something you’ve told them today and they might be able to relate to it a few months or years down the line. What I’m trying to ask you is how do you inspire people to care; personally, from your experience? Its very hard. Honestly, the way that I do it is not necessarily transferrable to other people. What I do is I talk about my own experience and I talk about the fact that I have a heart condition. And then people say that “I feel so sorry for you” and that makes them a little vulnerable because they are confronting that the person has a problem. And they don’t feel threatened and they don’t have their defences up because they’re worried about you because people are kind. In general; they want to be doing the right thing. So they feel sorry for me and they start listening and then I move it to: it is me and this a very deep problem that I have but its exactly the same problem that anyone with any medical device would have – probably someone you know at some point. Some parent … or someone you’ve encountered might have diabetes and have an insulin pump or something… or you can imagine yourself getting older far in the future and possibly having a device … it starts to come into reality and then I switch it to – this is exactly the same situation as you are in right now. Because you are relying on this technology that’s critical to you. And because people were so accepting about the issue for someone else, they are a little bit more receptive to the issue for them. I am not sure how it works when you are not telling someone that you might die; I don’t know if its a transferrable approach for advocating for it. But I think in general, talking about the personal and getting the person who is listening to you to care about you and then also explaining how it also relates to them. Its a very effective way. On a slightly different topic, because you care about so many things, does it make your life more difficult when you are dealing with family and friends. You care about them as people but they don’t need to necessarily need to care about things in the same way as you do. And you might not a way of getting them to see things your way. Does it make it more difficult for you to get along with them sometimes? Yes. So many times, its very hard talking to relatives that are really sold on their Apple products. For a long time, I just kept having this very genuine first principles conversation with them… not aggressively; not like “you’re a bad person for using your iPhone” or anything like that. But sort of like “hey, here is what I work on and this is why I choose not to use an iPhone and it would be really cool if you thought about it. And maybe if you thought about it for your next phone.” And they say “Oh! that makes a lot of sense – what you’re saying… but I can see that its not really my issue, but I can see why that would bother you”. And then I say – “think about it next time when its time for you to upgrade your phone, you might want to do something else with it.” And they say: “that’s a good idea … sometime in the future”. But then down the road, when they get a new phone, they get another iPhone and they try to hide it from you when they see you at the family function. The hard part is striking a balance of talking about it and genuinely, not making people feel bad… still trying to compel some action, but if they won’t act, preserving the relationship and making them know that you understand where they’re coming from and that’s its okay. So that’s really tough. I think that the most frustrating aspect are getting people to care enough in the first place and having a soft touch with that, at least in my family, is the best. But I have a really funny story about my parent which is that after I had started talking about my medical device situation publicly, it was the first time that my extended family really understood why these issues mattered. And the fact that I was speaking to a lot of people and people were taking it seriously really compelled them and they looked into it. I have other people in my family, of course, who have heart issues ‘cause some of these things are genetic and so these issues affect them and so are starting to be a little concerned. I got a phone message from my mother once. My parents had gotten a new phone and my mother called me and said, “so – we just got back from the Apple store and we got a new iPhone and we just wanted to say that we’re sorry because we’re sorry that you won’t approve…” And I was like “what! wait a minute. You told me that you were proud of me that I was advocating for this issue; you have always been really supportive parents – so its okay if you want to get an iPhone. But then why call me and apologise.” So I said this to them and they drove right back to the iPhone store and returned their phone. It was just like how funny it was … it was about the irrationality of it – what you said last month was that you understood what I was saying and what you’re saying this month is that you understand what I’m saying but you don’t care. Is it because people take their freedom for granted? That they don’t perceive that they would loose it or the loss would threaten them in some way? I think that’s exactly it. I think people, especially amongst friends and family – who I were friends with before I became a software freedom activist – they just don’t think about it. They always say – “Yeah I know that I’m being spied on but I don’t have anything to hide”. And you have to really break it down. And you have to understand that most of these people are Americans in the US which is really founded on this really strong idea of privacy and the founding of our country is really connected. And yet the idea of “but I have nothing to hide” is so opposite to all of our basic fundamental ideas around our personal rights and our strong rights to privacy. So to summarize, what advice would you give to someone who wants to lead their lives with these principles at the core. And they still don’t want to alienate themselves from everyone else. And its a constant conflict, maybe, for them. So what advice would you give them to stay motivated, to keep working at it in whichever way they can? I think we are all making these compromises every day – all of us. If someone is not doing that, its because they are not doing everything for themselves. They have someone else who can do things for them. So you are already making these compromises. I just think of it in terms of everybody is drawing a line where it makes sense to them. And as long as they do it thoughtfully and as long as they push a little bit more towards freedom than they were before, we’ll make that progress. For me that is the way to advocate – to understand where people are and meet them where they are and help bring them to where we think they should be. And I would say its so hard because when you are stuck on the street by yourself after everyone has left because they have all an Uber; and you’re stuck and you can’t get a taxi or any public transportation and there is no one around to ask. Or you’re lost for the millionth time because you won’t use GPS, it feels very disheartening. But there is so much hope. And the more of us that do this and talk about and advocate for it, the better off we will be. It been hard because a lot of people who were core software freedom people – maybe because they got jobs in the field and so they disconnected with the movement a little bit when they feel like they gave it the office (an expression in the US) – you gave it an office, you don’t have to give it a home. I think a lot of software freedom people who are really passionate about it have been feeling a little alone because the world that normal people live in is becoming less and less acessible to purists, to people who really want to use free software. So I say – just make it a case by case decision. Live so you are comfortable, you can live in your place with your people that you love and do the things you want to do and then make yourself a little uncomfortable and go towards freedom and that way you can show people that its possible. And don’t beat yourself – just work hard to help communicate why this is important. Sure. That’s a very very great message. Thank you so much.